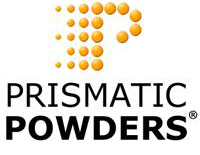 Prismatic Powders Ringsets are a high demand, labor intensive item and can take up to two weeks to fulfill. Vein Ring Set 1 is the first set in a series of 4 vein ring sets! Ring Sets allow you and your customer to physically look at and touch the powder. Click the button below to add the PP - Vein Ring Set SE-1401 to your wish list.